Sylvester holds a Bachelor of Arts Degree – Public Administration (UDSM) and is also a Certified Public Accountant (CPA – PP) and Certified Information Systems Auditor (CISA). 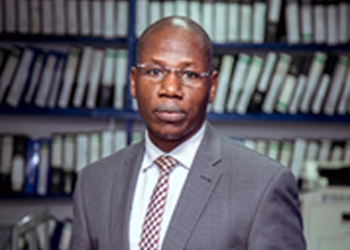 He has over Nineteen (19) years of professional experience (Four years with PricewaterhouseCoopers; Over two years with KPMG Tanzania; about two years with KPMG Channel Islands in United Kingdom; About Ten (10) months with Ernst & Young Tanzania; and over Nine (9) years as a partner at ABA Alliance, providing audit services to a vast range of local and multi-national clientele. Sylvester has wealth of experience in audits and advisory engagements and has provided such services over the years to such entities as: Government Bodies; Diplomatic Missions; Financial Institutions; Corporates; International and Local NGOs funded by multiple international donors. He has served clients across the East Africa Region and beyond.